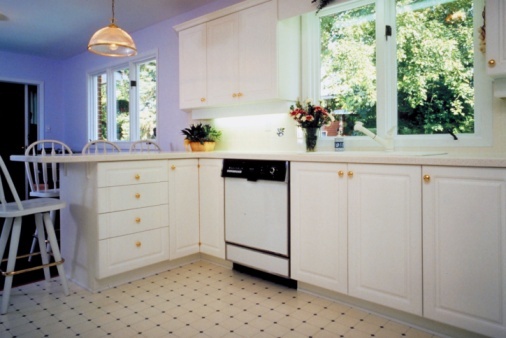 Grease is one of those substances that adheres to surfaces and causes cleaning problems. 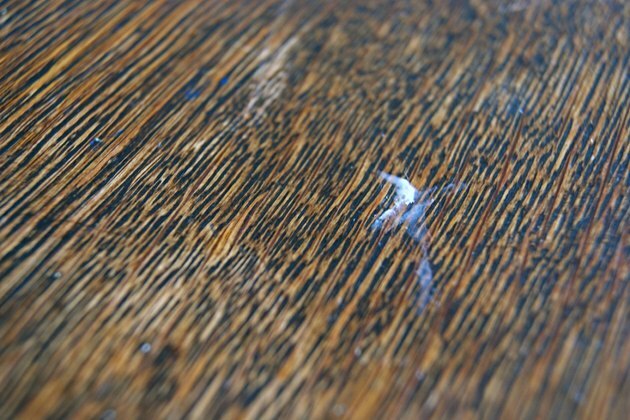 When grease gets onto wood, it forms a cloudy, sticky surface as it cools. It seems like an impossible task to remove grease from wood. 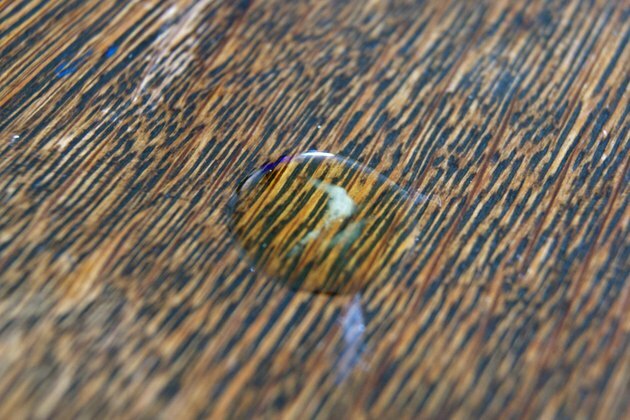 Fortunately, with the right materials, cleaning grease off wood is a very simple process. There are several proven methods that can have this seemingly-daunting chore accomplished in minimal time. Heat a bowl of vinegar in the microwave until it is hot. 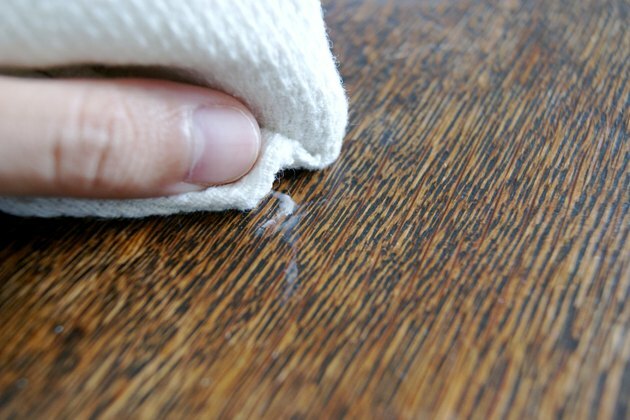 Use a clean cloth to wipe the grease off of the wood. 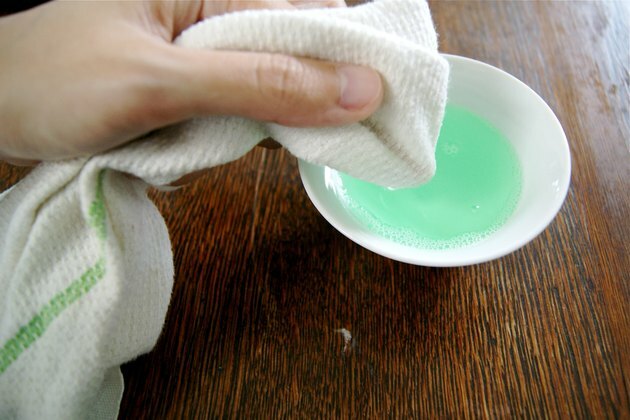 Dip a clean cloth or sponge into warm, soapy water and wipe the area with it. Allow the soapy water to soak on the grease stain for at least five minutes, then wipe it away with a clean, dry cloth. 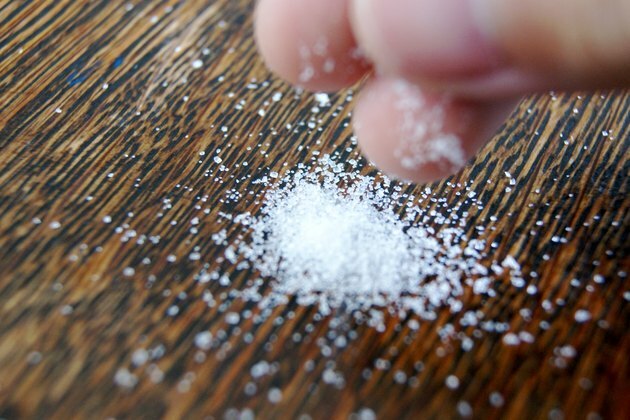 Sprinkle baking soda on the grease stain and allow it to sit for at least an hour before sweeping it away. Scrub the area gently with a clean cloth dipped in warm, soapy water. Saturate the area with Simple Green and allow it to soak for at least 10 minutes before wiping it away with a clean cloth.